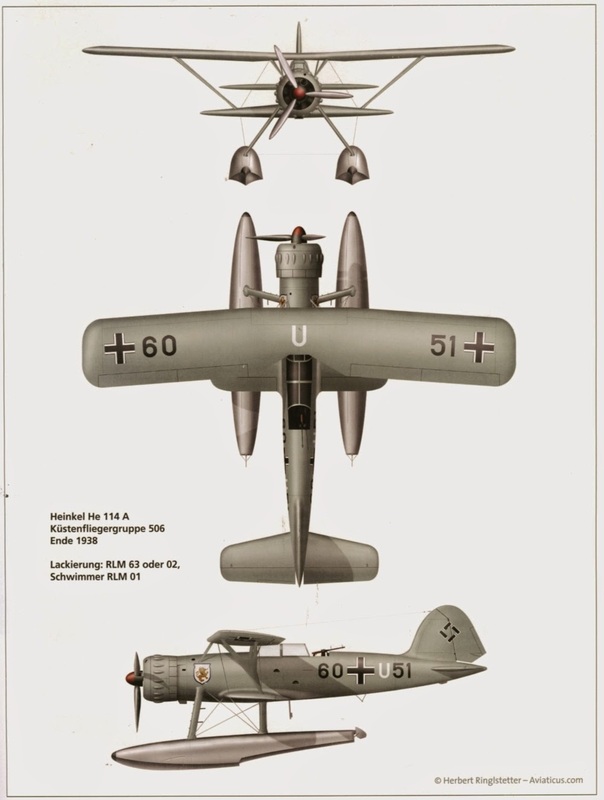 The two-seat reconnaissance floatplane Heinkel He 114 was intended to replace the Heinkel He 60. It had a span of 13.6 m (44 ft 7.5 in), a length of 11.64 m (38 ft 2.5 in) and an empty weight of 2,315 kg (5,104 lbs). Powered by a 970-hp BMW 132K 9-cylinder radial engine, it had a maximum speed of 335 km/h (208 mph) and a maximum range of 920 km (571 miles). The aircraft was armed with one 7.92-mm MG 15 machine gun on a flexible mount, operated by the observer in the rear cockpit, and two 50-kg (110-lb) bombs could be carried on external racks under the wing. The He 114 encountered a lot of early handling troubles both on water and in the air, and never made it as replacement for the He 60. It was outdated when World War II started and saw limited service in the German air force in Latvia, Estonia, Greece and Crete. Small numbers of several versions were sold and operated by Rumania and Sweden. Production ended in 1939 after ninety-eight He 114s had been produced. 10 pre-production aircraft, powered by a 656 kW (880 hp) BMW 132Dc engine. Training version, powered by a 656 kW (880 hp) BMW 132Dc engine. 33 built. Export version of the He 114A-2 for Sweden. 12 built. 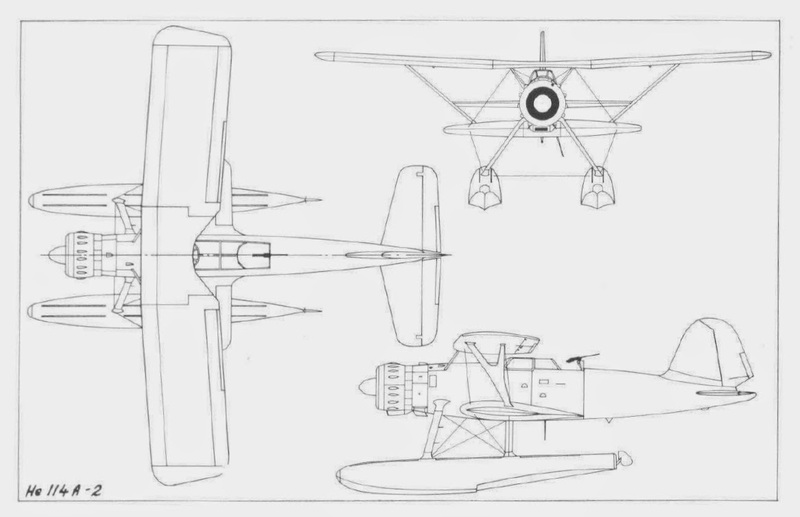 Export version of the He 114A-2 for Romania. Six built. Export version for Romania. 12 built. Reconnaissance biplane for the Luftwaffe. 14 built. Unarmed shipborne (Kriegsmarine commerce raider) version. Four built.